Research Suggests Eggs For Are Breakfast Great For Preventing Metabolic Disease. EGG-CITING NEWS FOR METABOLIC DISEASE! 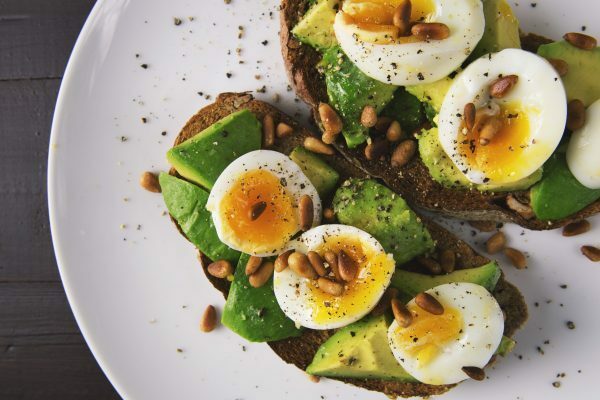 eggs was found to reduce consumption of (higher glycaemic) refined grains and improve overall protein intake – a delicious way for patients to bolster nutrition, support healthy blood glucose levels and reap metabolic rewards. Zanini B, et al. Impact of gluten-free diet on cardiovascular risk factors. A retrospective analysis in a large cohort of coeliac patients. Dig Liver Dis. 2013;45:810-815. doi:10.1016/j.dld.2013.04.001. Less hunger throughout the day – including mid-late afternoon munchies. Less cravings for sweet or savoury throughout the day – including those mid-late afternoon or post dinner. More consistent energy levels throughout the day – and less or no slump mid-late afternoon. Consumption of less refined carbohydrates and sugar. Weight, or more specifically, fat loss – and consistently. Reduction of Type II diabetes symptoms. Often reduction in the amount of insulin required by Type I diabetics. And eggs are the easiest, and most simple to prepare way of having a hearty, protein based breakfast – or any other meal. But add vegetables, nuts and seeds of fresh fruit seasonal to your climate for carbohydrates, before, or rather than going crazy on the toast. If you’d like to lose weight, regulate your blood sugar levels, or optimise your nutrition for health, treating illness or performance, then contact me at tim@timaltman.com.au or call 0425 739 918 to book an appointment.